As for the gameplay itself, things are both straightforward and innovative. You get to control a variety of subtly yet brilliantly animated rectangles, each with its own unique personality, set of abilities, shape and colour, and guide them through an excellently designed set of levels that will mainly tax your brain, but also -a bit- your reflexes. 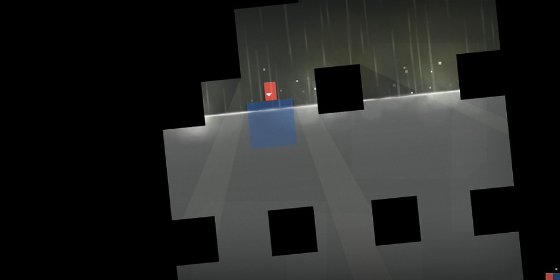 What’s really lovely is just how well each rectangle’s defining ability is tied to its character; what’s downright impressive though is that said rectangles are so much more interesting than your average multi-polygonal mainstream hero. They have a soul and that’s coming from a person who simply doesn’t believe such things exist.